Heads up, folks; this is a long one. The alternative was to split it up over a few days and a few posts, but we all have things to do, so we’ll just put it all up at once. Here we go! Eight months ago, give or take, I started something that was, for me, pretty ambitious. 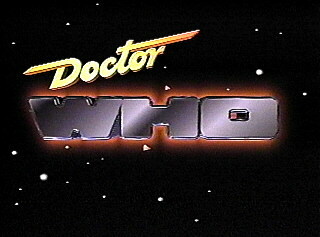 I decided to watch all of the classic series of Doctor Who. It was a lot to take on; I’m not good at following through and completing a series, even if it’s all available for streaming at once. I can’t count the shows I’ve attempted and then quit halfway. But Doctor Who is different, I told myself; it’s the show of my childhood, and besides, I had already seen the entire revived series to that point (or almost anyway; I held off on a bit of Series 8 for my girlfriend to catch up, and likewise with Series 9). So I decided to give it a try. Now here we are, eight months, twenty-six seasons and one movie later, and it’s over. I missed a collective total of about thirty minutes, I think; there was a single episode (not a serial, just one part) I couldn’t locate, plus about seven minutes missing from another. Of course many of the early episodes are only available in reconstructions, but I was able to find recons for all of those missing episodes. So, I wanted to put together a final thoughts post for the series, and see what people think. I appreciate all the comments (and karma) from the previous posts; this fandom is great, no matter what anyone outside it may say, and the discussion is what I was after most of all. I’ve learned a lot about the series just from the conversations that have resulted, and it’s convinced me to give Big Finish and the various novels a try, as well. If this gets a little long—and who am I kidding, I know myself, of course it will—I’ll split it into parts, but I’ll post them as quickly as I can. (If you’re reading this on my blog, some of what I’ve just said may not make sense; I’ve posted these reviews on Reddit.com’s /r/Gallifrey subreddit, as well, and some things are specific to that site.) With that, let’s get started! My very first observation as I started this rewatch is that the series has changed immensely since William Hartnell was the First Doctor. I suppose I expected that, given that the show is fifty-three years old; but I wasn’t expecting it to have changed in the ways I saw. It’s gone from being a somewhat-educational children’s show to being a family show with adult overtones; but it’s more than that. The Doctor we first met was not a nice guy, nor likeable. He really wasn’t even the hero of his own show—that would be Ian Chesterton. (All respect to Barbara and Susan, but it was the 1960s—women weren’t often the heroes of anything on television. They were great, and I liked them, but they existed to support Ian, mostly.) The Doctor was there, basically, to put Ian and Barbara and Susan into a bad situation every week, and occasionally offer a solution. Nowadays that would never fly—he’s the Oncoming Storm, the Madman with a Box, Time’s Champion, even the Time Lord Victorious. He’s the star of his show, now. It might be tempting to say that that change happened with the revival, but it was happening long before that. I’ve theorized as I watched—well, it’s not so much a cohesive theory as just an observation—that there’s a visible pattern of growth to the Doctor as the series goes on. Every incarnation adds to his character, makes him something new—he doesn’t just change, he increases. 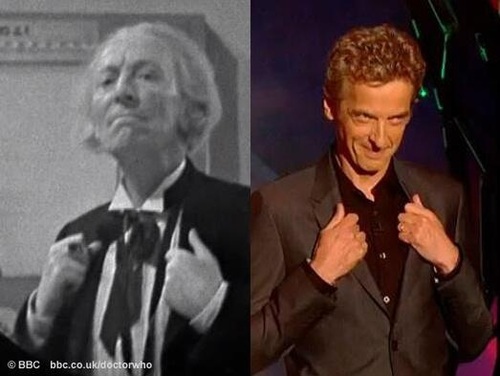 The First Doctor was hardly the Doctor at all for most of his life. He became the Doctor, I believe, in The War Machines. I’ve talked about this a few times before, and I can’t claim total credit for the idea—sorry, I’ve lost the link to the original post that inspired the idea—but my headcanon is that the Doctor didn’t consider himself to be the Doctor until he met Ian and Barbara. (The short version is that Ian mistakenly calls him Doctor, and he lets it stand so he won’t have to tell them his real name; eventually he sees noble qualities in Ian that he wants for himself, and takes the name on as a promise to himself to live up to that example. Then, later, his name leads to the use of the term for a healer—it’s a bit of a paradox, but hey, this is Doctor Who, paradoxes are what we do here.) I think the turning point onscreen is when he faces down the War Machine in the street, willing to sacrifice himself if necessary to save the others—but confident that he can meet the challenge. And then, not long after, he regenerates. 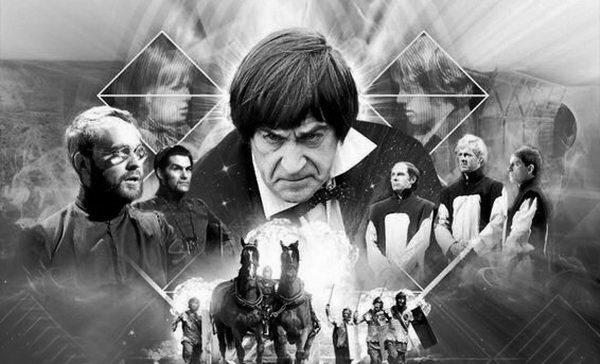 Patrick Troughton is the Doctor right from the start, there’s no doubt about it. For him, growth means learning not to let things go to his head. He’s just learned all this confidence and taken on this self-assigned responsibility; now he has to be humble. And the Second Doctor is definitely humble. He does all the things that a class clown does: He’s self-effacing, he uses humor to redirect attention, he’s always evaluating everything and everyone. He moves from passive to active: He’s not just a wanderer in time anymore; instead, he’s getting involved, making things happen. And he cares, far more than the first Doctor ever did. My first memory of the Second Doctor—before I started this rewatch—is from The Mind Robber, with the Doctor running through the Land of Fiction, frantically searching for Jamie and Zoe because he’s so utterly worried about what might happen to them. He comes across as sullen, sometimes, simply because he worries so much. And then, he gets caught. The runaway gets dragged back home to an as-yet-unnamed Gallifrey. His companions get their memories removed—what a waste!—and get sent home, and he is forced to regenerate again. 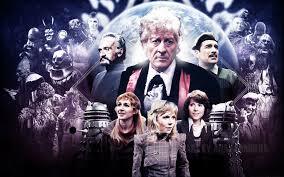 In Patrick Troughton’s place, we get John Pertwee, the Third Doctor. Further, he’s banished to Earth; the newly-named Time Lords pull out parts of his TARDIS and parts of his mind so as to keep him there. He’s immediately scooped up by UNIT, so he’s not homeless or purposeless; but his wandering days are over for now. This Doctor is the responsible one, but it chafes him to be that way. He wants to be free, but he has to learn patience. In the meantime, he’s calm, dignified (mostly), and smooth. He’s cared for his companions before, but this is where he learns to love humanity in general; when he first lands, he looks down on them. He knows he’s smarter, knows they’re not on his level. But by the time he gains his freedom back, he doesn’t look down on them anymore—in fact, his opinions are reversed; in Planet of the Spiders, he’s happy with his friends and companions, and looking down on himself for his own foolishness. It’s humility, but a different kind of humility from that of the Second Doctor: He knows he’s not infallible. All of that seems to go right out the window when Tom Baker’s Fourth Doctor comes on the scene. Several times I’ve called this his adolescent phase. He’s the rebellious teenager here. He’s no longer content to meet his responsibilities; he wants to get out and see the universe. He spends a lot of episodes trying to run from duty, whether it be to UNIT, the Time Lords, the White Guardian, or his companions. He works on his TARDIS the way some teenagers soup up their cars. He gets so rebellious that he has to have a nanny, essentially, to keep him on track, and so Romana joins him. He’s changeable and moody and high-strung and unpredictable. He’s faced with huge decisions and freely admits he isn’t ready to make them. Genesis of the Daleks shows his immaturity (where rather than make the right decision, he more or less blunders into it); it’s not until The Armageddon Factor, when he dismisses the Key to Time, that he begins to grow out of it. And then, near his death, he gets Adric, and becomes something of a mentor to him. I feel like that relationship is what leads him to subconsciously choose the pattern of his next incarnation. He dies doing what he never could have done at the beginning: being a real hero, sacrificing himself for not just those close to him, but the universe at large. Peter Davison’s Fifth Doctor takes that mentoring aspect and cranks it up to eleven. Young though he appears to be, he’s the fatherly type; he treats his companions less like friends and more like family, or like his own children. Adric’s death in Earthshock breaks him, and he becomes a little harder afterward; but instead of giving him a dark side, that hardness just makes him try that much harder to be the protector, the mentor, the leader. This is the phase of his life where he becomes, as Ohila will later say to the Eighth Doctor, the good man. He finds something of an equal in Nyssa (though it’s never a romantic relationship), but she ultimately leaves out of goodness—she chooses to stay behind on Terminus to help the survivors of Lazar’s Disease. He takes Turlough under his wing, and saves him; he tries to do the same with Kamelion, but fails. It hurts him quite a bit when Tegan leaves; he tries to make it up with Peri, and ends up dying to save her. I want to say that Colin Baker’s Sixth Doctor came as a reaction to something about the Fifth Doctor. I want to say that, but I can’t. I labored over the question of why he should be the way he was—at first at least—but I just couldn’t come up with a satisfactory answer. It just seems that when you’re changing personalities with every regeneration, every once in a while you get a dud. It’s almost a reset, a throwback to Tom Baker, but with the bad qualities exaggerated and the good minimized. How often do you get a Doctor that tries to kill a companion? Not often. That, at least, is how he starts out. But if this were elementary school, I’d give the Sixth Doctor the award for “Most Improvement”. The change between the beginning of his (admittedly short) era and the end is just amazing. While he never stops being arrogant, it goes from unapologetic and vicious to self-aware and, well, able to laugh at himself. While he started out thinking of himself as being supremely capable in any circumstance, he really wasn’t—think of all the times he was outwitted by his circumstances, or the times he tried and failed to fix the TARDIS. Yet, by the end, when he learns not to focus on himself as much, he really IS capable—it’s almost like a bit of humility unlocked his abilities. And then he’s unceremoniously dumped by the BBC. Oh. Well, that’s not good. Sylvester McCoy, as the Seventh Doctor, didn’t get the benefit of any buildup whatsoever. He had to step into the role and be the Doctor with no in-universe preparation. He met that challenge; no other Doctor has so immediately been the Doctor. 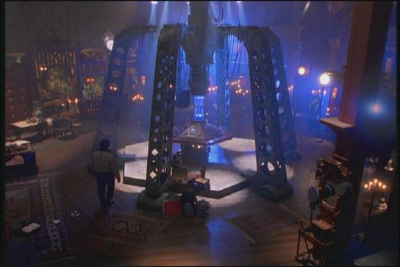 From the minute he wakes up in the Rani’s lab, he commands the role, and never looks back. That’s literal as well as figurative; he’s the only Doctor never to be involved in any capacity in a multi-Doctor story, at least in the classic series. As far as the classic series is concerned—and with its end approaching—he is the pinnacle of the character: Capable, smart, mysterious, caring, wise, powerful, cunning. He meets his match in Ace, who is likewise the pinnacle of what a companion should be: Energetic, realistic, versatile, adaptable, happy, devoted, and above all else, human. With them, we get some of the best stories—and we get the difficult task of closing out the series for cancellation. Somehow, it all comes together perfectly. 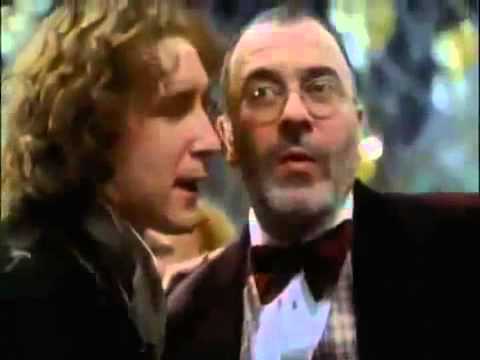 It’s unfortunate that the Seventh Doctor dies as he does—in gunfire and pain—but one thing that was NOT unfortunate was Paul McGann’s selection as the Eighth Doctor. This Doctor is the hinge on which the classic series turns, paving the way for the new series; and as such, he’s a little of both. He’s a survivor, but also a lover, at least to some degree. He puts thought into what it means to BE the Doctor—and he takes a stand accordingly. He dies trying to balance those aspects of himself, fighting destiny all the way to the end—and in his ashes is born the War Doctor. We’ll talk more about him somewhere much further down the road. I made a point as I watched of looking for similarities and connections between the classic series and the revived series. Many of those, I pointed out as I came to them. It was interesting to see how plot points reappeared, and how relationships and personalities in one series mirrored those in the other. I suppose it’s inevitable that a five-decade series would repeat itself, but it’s uncanny sometimes; clearly the writers didn’t plagiarize, but they hit the same notes just the same. It never feels repetitive, somehow; instead, it just goes to make these characters feel like real people, with real personalities that stay consistent from one appearance to another. That’s no small feat, considering that there have been dozens (if not hundreds) of writers, and that it was almost certainly unintentional. One specific connection I looked for was the various ways in which later Doctors drew inspiration from earlier Doctors. I didn’t research the subject; I know some modern actors have spoken about how they designed their portrayal, and in at least one instance (Ten with Five from Time Crash) it’s actually canon; but I didn’t look into that. These are just my guesses and opinions based on what I saw of the characters. With that said, Nine doesn’t owe much to anyone—or rather, he’s a little bit of everyone. That makes perfect sense, considering he’s a brand-new Doctor, fresh off the Time War, and in a sense the first of his line. He had to carry the weight of the revival single-handedly, and so it made sense for him to show a little something from everyone—the harshness of Hartnell, the energy of Troughton, the severity of Pertwee, the willfulness of Tom Baker, the paternalism (sometimes) of Davison, the mercurial whims of Colin Baker, the determination of McCoy, and the responsibility of McGann. His costume didn’t even relate directly to anyone; it was something new, although we would eventually find that it relates to the War Doctor. Ten, of course, owes much to Five; that much is official within the series. He gets his wit from Four, but his attitude toward his companions is all five—in fact, his companions themselves have a lot in common with Five’s companions. Rose is his Adric (though it eventually went to romance more than mentoring); Donna is his Nyssa; Martha is his Tegan, right down to the “I can’t do this anymore” departure; and Wilfred is his Turlough. Astrid Peth, in her one appearance, is his Kamelion—the one he tried to save, but failed; or you could make the same observation about Lady Christina de Souza, as she was both hero and villain. Eleven owes his characterization to the Second Doctor, but also—oddly—to the Sixth. Bear with me. He shares Two’s general humor, many of his mannerisms, his flawless loyalty to his companions, and his calm self-assurance (which admittedly is the ONLY thing calm about him). At the same time, he has a proud and arrogant streak that is pure Six; sometimes he’s even as fickle as Six. He also has a scene at his tomb that parallels Six’s scene at his ostensible tomb in Revelation of the Daleks, though Eleven’s attitude about his impending death is much more mature than Six’s (and understandably so). Having a few audios with Six under my belt now, I see the way that character grew offscreen, and I can’t help thinking that Eleven is what Six might have been if he had had to face the Time War. Then there’s Twelve. I’ve been vocal in various comments sections about my disappointment with the Twelfth Doctor thus far. I have the utmost respect for Peter Capaldi; his acting chops are second to none. What I don’t like is the direction the character has taken, mostly due to Clara Oswald. With that said, it was harder to nail down influences for him; but I feel like he mostly owes himself to the First and Third Doctors. He shares One’s disdain for his companions, or in his case, companion; I don’t mean that he hates Clara, but there is a lot of rivalry there, and also some looking down on her when he feels she’s inadequate. (It’s only fair, I guess; she does the same to him.) He also has One’s arrogance and willfulness, though it’s not as pronounced as, say, Six. He shares Three’s flair and fashion sense (sometimes anyway), love for tinkering, chafing at restrictions (Three toward the Time Lords, Twelve toward Clara), and sense of responsibility toward Clara and toward UNIT. We fans of the show are fond of declaring a certain Doctor to be “MY Doctor”, and that’s fine; I’ve done it too. Now that I’ve seen them all, I thought I would try to rank them according to my preferences. This ranking isn’t any kind of evaluation of their qualities; it’s strictly a ranking of who I liked, most to least, though I may make a comment or two along the way. I’m including the new series Doctors as well, because it’s a short list, and I feel like it’s best judged with everyone included. 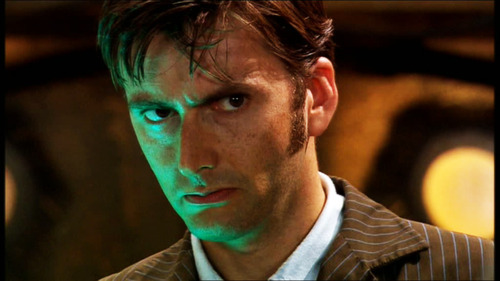 Tenth Doctor—David Tennant. I didn’t expect him to unseat Tom Baker, but what can I say. Seventh Doctor—Sylvester McCoy. I was surprised at just how good he was. The series ended in good hands. Fourth Doctor—Tom Baker. I grew up watching him, and he was always the standard for the Doctor, in my opinion. I was surprised and a little disappointed to see him slip in my personal rating. 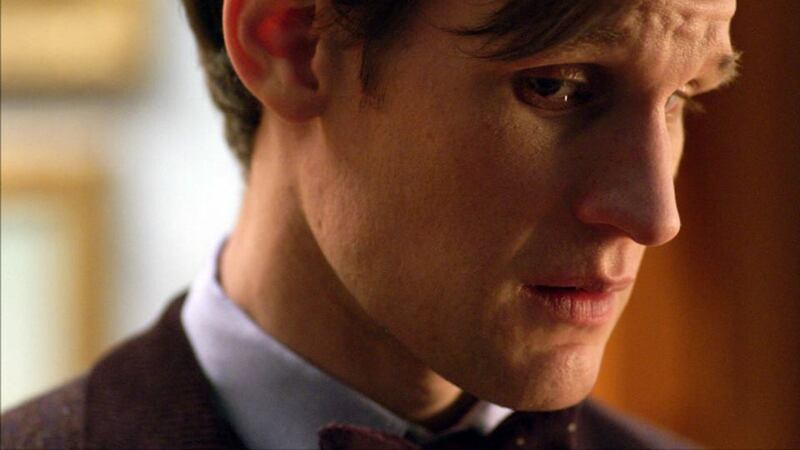 Eleventh Doctor—Matt Smith. He gets a lot of controversy among fans, but I thought he was great. Third Doctor—John Pertwee. Just a great performance all around. Fifth Doctor—Peter Davison. I wanted to be more impressed with him, and he wasn’t bad; but he wasn’t as good as I expected at first. 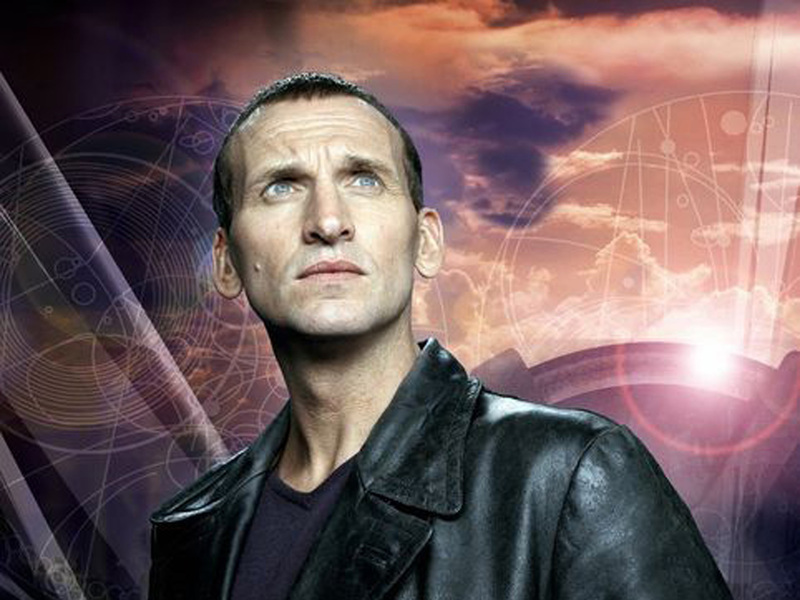 Ninth Doctor—Christopher Eccleston. Great guy, great Doctor, but all too soon gone. Second Doctor—Patrick Troughton. I liked him, but for reasons I can’t pin down, I had trouble following a lot of his episodes. Eighth Doctor—Paul McGann. Just not enough material to rank him higher, though what we have is pretty good. First Doctor—William Hartnell. 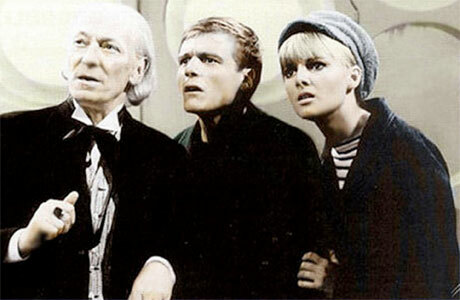 It was a different time; the First Doctor is easy to respect, but hard to love. Sixth Doctor—Colin Baker. Such a victim of bad writing and bad politics. I really feel like he would have done much better with more time. War Doctor—John Hurt. Great performance, but very little screen time. Twelfth Doctor—Peter Capaldi. Yes, I know, placing him last is controversial. I hope he’ll improve with a new companion. I have high hopes for him next series. So, there you have it—if I can call anyone “my Doctor”, it’s David Tennant. Not a perfect list, but closest I could get. From top left: Susan, Barbara, Ian, Vicki, Steven, Dodo, Polly, Ben, Jamie, Victoria, Zoe, the Brigadier, Liz, Jo, Sarah Jane, Harry, Leela, K9, Romana I, Romana II, Adric, Nyssa, Tegan, Turlough, Peri, Mel, Ace, Grace, Rose, Jack, Mickey, Martha, Astrid, Donna, Jackson Lake, Lady Christina, Adelaide Brook, Wilfred, Amy, Rory, River, and I’m unsure, but I think that last one is supposed to be the personified TARDIS. Finally, companions. As this list is considerably longer, rather than talk first about the various companions, I’ll just put this in ranking order, and make comments along the way. If you’ve read this far, congratulations! But this last part is likely to be the longest—the Doctor has had a lot of companions. As with my Doctor ranking, I’m including NuWho companions as well. I’ve mostly followed the Wikipedia list, but with a few exceptions for totally arbitrary reasons: I’ve left out Mike Yates and Sergeant Benton because they only appear with the Brigadier for the most part, and lumping them together with him doesn’t really change his ranking. 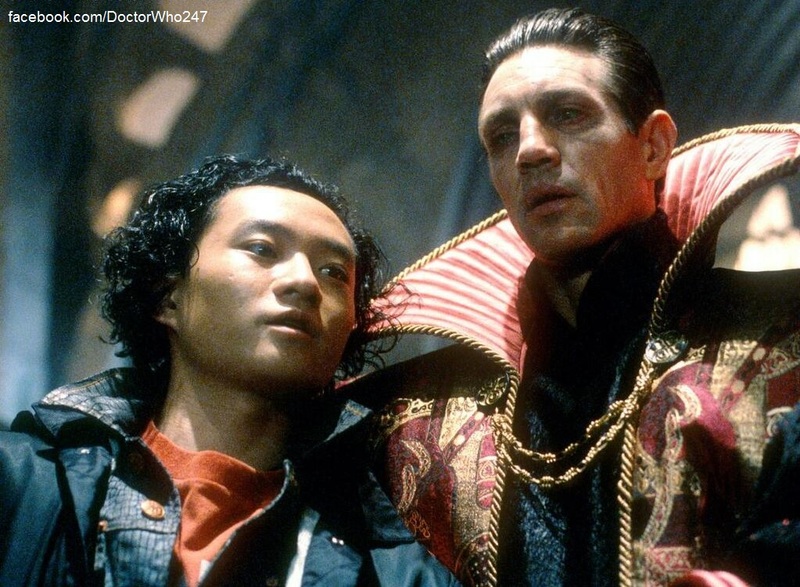 I’ve included Chang Lee even though he was technically a companion of the Master, because he ultimately sided with the Doctor and was mostly inseparable from Grace Holloway. I’ve listed the two versions of Romana separately because the performances were very different; by the same logic, I’ve combined the two K9s into one entry. I didn’t include Jackson Lake because he (for all practical purposes) functions as a separate Doctor, complete with companion of his own; or Adelaide Brook, because she more or less traveled under duress, and clearly did not want to be with the Doctor. I also have left off incoming companion Bill, since we don’t know anything about her yet. In every case, I’ve tried to give the most complete name that I can; in some cases a surname wasn’t given onscreen, but has arisen in other materials. I’m using the versions that can be found on the TARDIS wiki. In total, using this ranking, there are 46 companions; 15 are male, 29 are female, and 2 are robotic. So, without further adieu, here’s my companion ranking. Ian Chesterton—First Doctor. I have a lot of respect for Ian. He’s a good man, even before the Doctor proves himself to be one as well; and he set the pattern for many companions to come. I would love to see William Russell reprise the role in a few episodes of Class, as Ian is hinted to be on the Board of Governors for Coal Hill School. Dorothy Gale “Ace” McShane—Seventh Doctor. I earlier described her as the pinnacle of what a companion should be, and I stand be that. She was fantastic in every regard. 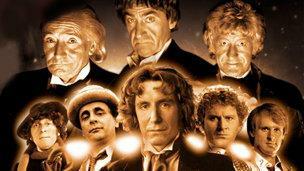 Brigadier Alistair Gordon Lethbridge-Stewart—Second, Third Doctors, plus several cameos. Possibly the most loyal of all companions, in the sense that his loyalty existed in spite of having a clear view of just how crazy the Doctor could be. Every single appearance onscreen is great. Has a wit that cuts like a knife. Jamie McCrimmon—Second Doctor. More episodes under his belt than any other companion, and I’m still angry that he had his memory wiped. He’s the only companion to ever be present for a Doctor’s entire run (with the exception of Clara, if Series Ten goes as planned). Donna Noble—Tenth Doctor. Hands down, my favorite NuWho companion, and just as tragic at the end as Jamie. She was the one true equal in personality that the Tenth Doctor ever met. Nyssa of Traken—Fifth Doctor. If Donna was Ten’s equal, Nyssa was Five’s. They both essentially give up their life with the Doctor for the sake of saving people, though Donna doesn’t know it. Nyssa was the loyal, stable one while Adric and Tegan—and later, Turlough and Tegan—were fighting it out. K9—Fourth Doctor, and a cameo with Ten. A companion’s companion, literally, in that he ended up with Leela, Romana, and Sarah Jane in various incarnations. I loved K9 as a kid, and still do; his obliviousness and bluntness plays perfectly against Tom Baker’s Fourth Doctor. Elizabeth “Liz” Shaw—Third Doctor. She didn’t get enough credit, and didn’t stay long enough. She was a much better match for Three than Jo Grant ever was, though he would never have been able to be paternal toward Liz like he was to Jo. Wilfred Mott—Tenth Doctor. Wins the award for “most lovable companion.” He summarizes how the rest of the universe relates to the Doctor—they want to trust him, but they can’t keep up with him, and in the end, they just want to survive and live a good life. Leela—Fourth Doctor. It always bothered me that the Doctor treated her rather badly, when she didn’t deserve it. Still, their relationship wasn’t all bad, and she was loyal and strong to a fault. Sarah Jane Smith—Third and Fourth Doctors, plus a cameo and two spinoffs. If I had only had her classic run to look at, I would have ranked her lower; she’s fairly whiny and weak. She gets a great redemption, though, in School Reunion and in The Sarah Jane Adventures. Dorothea “Dodo” Chaplet—First Doctor. Likeable, fun, and energetic. Her tenure felt very short to me. River Song—Tenth, Eleventh, and Twelfth Doctors, with suggestions that she met them all. River generates a lot of controversy, but I always liked her, even when she was being infuriating. Romana II—Fourth Doctor. Lalla Ward is the definitive Romana. Once the character and the Doctor learned to get along, they made a great team (and of course their real-life relationship added some chemistry, both good and bad). Vislor Turlough—Fifth Doctor. He’s another who gets some criticism, but I liked him once he stopped acting like a spoiled child and started standing up for himself. Jack Harkness (just as a companion, not based on his Torchwood performance)—Ninth and Tenth Doctors. Jack has a unique gift for grasping the situation instantly and adapting to it. A good man to have in a fight, and of course he’s charming as can be. Early Jack is almost more interesting than his Torchwood portrayal. Martha Jones—Tenth Doctor. There’s only one Martha, and I’m so glad she didn’t end up in a relationship with the Doctor. She turned out much better for walking away. 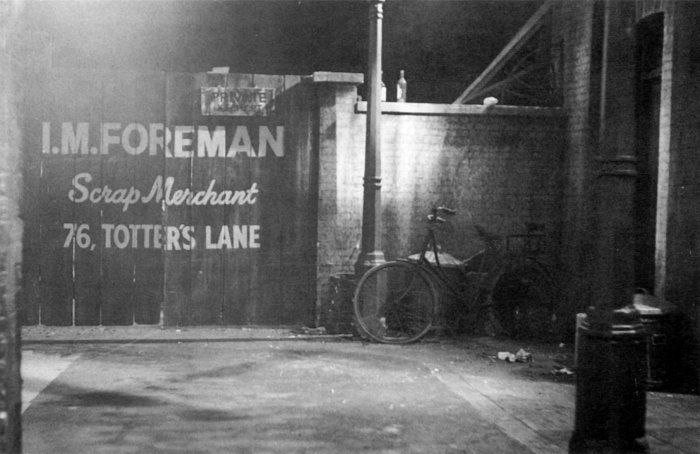 Susan Foreman—First Doctor, plus a cameo. Susan gets a bad reputation because she was poorly written, but I always felt like the character had so much potential. 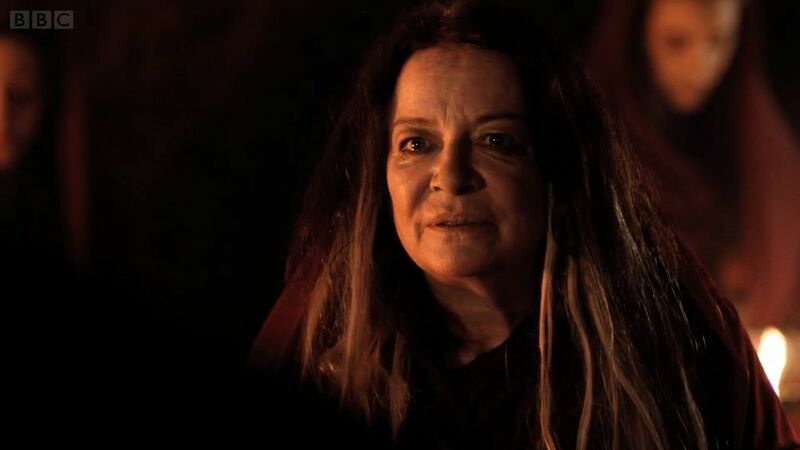 I want to see her come back and get a regeneration scene while Carol Ann Ford is still with us. Zoe Heriot—Second Doctor. Zoe gets credit for matching so well with Jamie. They were a great duo, and together they perfectly balanced the Second Doctor. I wish she had stayed longer. Victoria Waterfield—Second Doctor. This was always going to be a difficult role to play; she was essentially a teenager with PTSD. Nevertheless, the role was executed well. Jo Grant—Third Doctor. I gave Jo a lot of flak in my reviews, but she turned out fine; I was just feeling burned by the loss of Liz Shaw. In the end, she made a great choice and picked a great cause when she left the Doctor. She grew on me over time, but I admit to thinking she was stupid at first. Harry Sullivan—Fourth Doctor. Harry is one of those incidental companions who never chose this life; he’s just along for the ride. He absolutely makes the most of it, though, and isn’t scarred by it at all—kind of a rare thing among companions. Adric—Fourth and Fifth Doctors. Not the first death in series history, but the most traumatic. He had a great arc, with considerable growth…and then, dead. Just like that. Romana I—Fourth Doctor. I liked Mary Tamm’s performance, and though I also liked Lalla Ward, I was sorry to see Romana regenerate. She was excellent at reining in the Fourth Doctor. Mel Bush—Sixth and Seventh Doctors. Mel was the best thing to happen to Colin Baker’s Sixth Doctor. After the doom and depression of Peri’s final appearances, Mel was a breath of fresh air, and it clearly made a difference to the Doctor. Her performance was good enough that the transition to Ace felt like a handshake between friends rather than a change of watch. Tegan Jovanka—Fourth and Fifth Doctors. Tegan loosened up considerably after leaving her job; it was a great direction for her character. Unlike many companions before her, she didn’t leave because she missed home, or found other involvements; she left because of the horror of what life with the Doctor could entail. I compared her to Martha Jones in that regard, and I still think it’s a fair comparison. Grace Holloway—Eighth Doctor. Such a short performance, and unfortunately we’re not likely to get her back in any capacity. She may not have been a good long-term match for the Eighth Doctor, but she was certainly what he needed at the time. Chang Lee—Eighth Doctor. An excellent counterpoint to Grace. Had the show persisted, I could have seen him becoming another Adric. A good kid in the wrong place at the wrong time. Mickey Smith—Tenth Doctor, though also present around the Ninth. Often rejected from lists of companions, but I feel that’s unfair to him. He had a difficult path to walk, watching Rose reject him in favor of the Doctor, and yet still focusing on the bigger picture of saving the world (two worlds, actually!). He ended up with Martha, and I can’t imagine a better ending for him. Rory Williams—Eleventh Doctor. It’s difficult to tie yourself to a person with a very strong personality, but there’s no question about his love for Amy. I felt a great deal of sympathy for him. He could teach the Doctor a thing or two about being a good man. Craig Owens—Eleventh Doctor. And now, here’s an everyman! It may be a bit stereotypical, but Craig played the part perfectly. I’m not sorry he only had a few appearances; making him a regular would have ruined him, and that’s a fate I don’t want to think about. Amy Pond—Eleventh Doctor. I wanted to hate Amy for a long time. She ordered the Doctor and Rory around constantly, and just made life miserable. Then we got Clara, and I realized I never knew how good we had it with Amy. She’s by no means a bad character or a bad person, but she’s headstrong to the point of death, possibly literally. She did improve with time, though. Astrid Peth—Tenth Doctor. Earlier I called her Ten’s Kamelion, because of her short term and her death. Also like Kamelion, she had been manipulated by a worse villain, but she absolutely made good on it. Vicki Pallister—First Doctor. Vicki was quiet and unassuming, and basically just there—and for her, those were good things. She made no demands, just quietly worked and helped and served. I really appreciated her for that. Steven Taylor—First Doctor. I recall commenting that Steven was the victim of having his parts written initially for someone else. As a result, his character was all over the place. It’s a pity; he had the makings of greatness, but he just never had the chance to shine, being caught in the middle of things. Barbara Wright—First Doctor. I only ranked her low because she was the victim of her time. A female character in 1963 was pretty much doomed to do a lot of screaming and make a lot of bad decisions. Her heart was in the right place, though, and she had some good moments. Lady Christina de Souza—Tenth Doctor. We’re reaching the point where characters just don’t have enough material to rank them higher (well, with a few upcoming exceptions). Lady Christina deserved a redemption story arc, but she never got the chance to get it. Rose Tyler—Ninth and Tenth Doctors. I’ve been very hard on Rose over the years, mostly because of her love affair with the Doctor. While I’m not of the camp that says the Doctor should be asexual and anti-romantic, seeing this eighteen-year-old child fawning over him was just sad. She had a lot of good moments, but mostly they were the ones that didn’t involve the Doctor. We do owe her something for being the first companion of the revived series, but I feel like she squandered it. Perpugilliam “Peri” Brown—Fifth and Sixth Doctors. Poor Peri. She started out happy and hopeful, and then the Doctor tried to kill her. She never recovered from it. For the rest of her tenure, she’s a trauma victim; she’s paranoid, easily frightened, distrustful, and whiny. I hated that for her. It was almost a relief to see her go. Ben Jackson—First and Second Doctors. I’m ranking Ben and Polly (you never get them separately) low chiefly because I don’t remember a lot about them. They came and went fairly quickly, and though they were present for some good stories, they didn’t make much impact on me. Otherwise there’s nothing wrong about them. Polly Wright—First and Second Doctors. Polly didn’t even get a last name onscreen, which tells you more about her character than I could say in a paragraph. She was definitely underused. 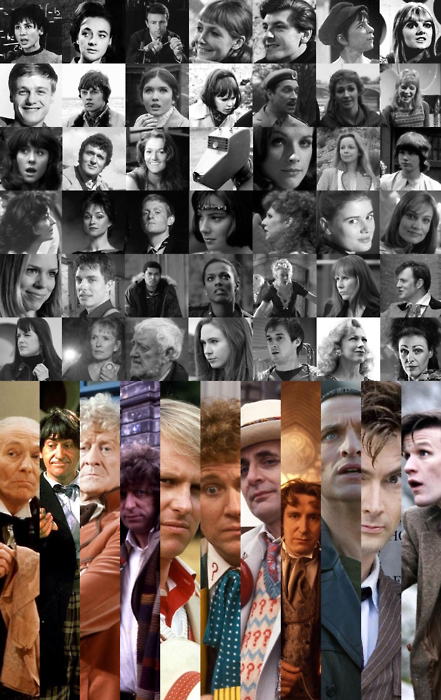 Clara Oswald—Tenth, Eleventh, War, and Twelfth Doctors, with cameos with all of them. Yes, I’m ranking her low. She’s the only companion ever to inspire me to rage. I will give her credit for her early appearances with Eleven; from Asylum of the Daleks to The Name of the Doctor, she was fantastic and compelling. The “Impossible Girl” storyline was great, and had a great resolution, introducing the War Doctor as well. After that, she took over the show and turned the Doctor into her lapdog. I’ve ranted extensively about this in other places, so I’ll let it go for now. Katarina—First Doctor. Just too short a term to say much about her. She was in over her head to begin with. However, she did make a noble sacrifice in the end, thus becoming the first companion death. Sara Kingdom—First Doctor. Has the dubious distinction of being the second companion to die in the same episode as another. She could have been a good character, given enough time; and she was the first enemy to then become a companion. Adam Mitchell—Ninth Doctor. I kept him on the list because the idea of an evil companion is fascinating, but let’s be honest, he’s slimy and despicable. Kamelion—Fifth Doctor. Ranked last for his severe underuse. It’s not his fault; it’s hard to use a prop when no one knows how it works. Unfortunately he came and went with barely a blip on the radar, although The King’s Demons is a good—if insane—story. First Doctor: The Space Museum. I know, it’s an odd choice, especially when I’ve talked so much about The War Machines. But favorites aren’t just based on seminal moments in the series; they’re based on how enjoyable they were. 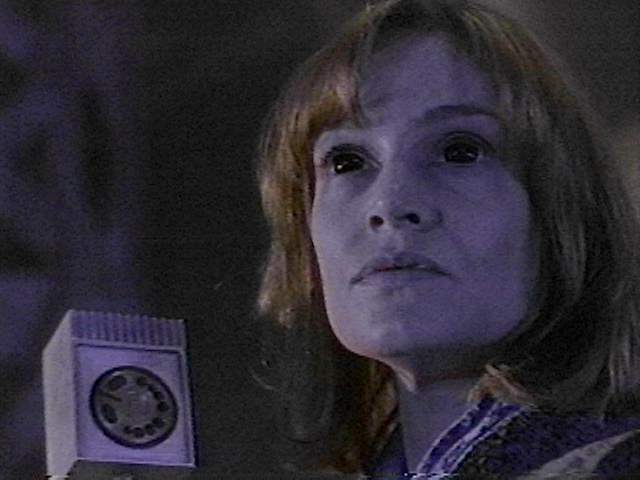 This serial gets a lot of flak for various reasons, but it was fun to watch, and it created a few ideas that have shown up again in surprising places, like the idea of a mind probe device, or the idea of being out of sync with time. And Hartnell is at his funniest here, which is awesome. Second Doctor: Oh, man, so many good choices. Patrick Troughton really is the Doctor who defined the role. 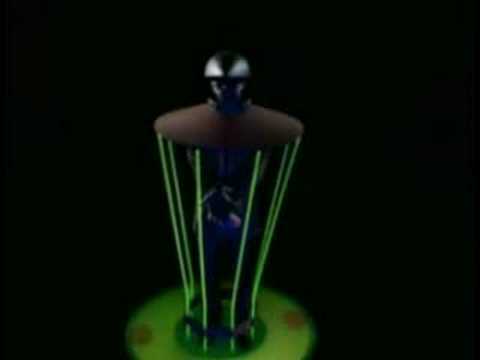 But when all is said and done, I’d choose The Tomb of the Cybermen. It’s full of iconic scenes and moments, and brought the Cybermen back from what seemed like the dead after the end of The Tenth Planet. In some ways, Cybermen have always been scarier than Daleks; all a Dalek can do is exterminate you, but the Cybermen can make you one of them, and steal away your humanity. Third Doctor: Inferno. Again, probably an uncommon choice, but hear me out. Here you get the Doctor in extremis; he’s alone, in a hostile world, racing the clock, feeling the burden of not one but two worlds, with no TARDIS, no companions, no UNIT—and he wins. Yet, even as he wins, he loses some people he would rather have saved, and it’s clear he’s not perfect, and he can’t do everything. Also, it’s a bit downplayed, but there’s some suggestion that the Leader in the inferno world is the Doctor, or rather, what he would have become had he accepted one of the forms the Time Lords offered him in The War Games. 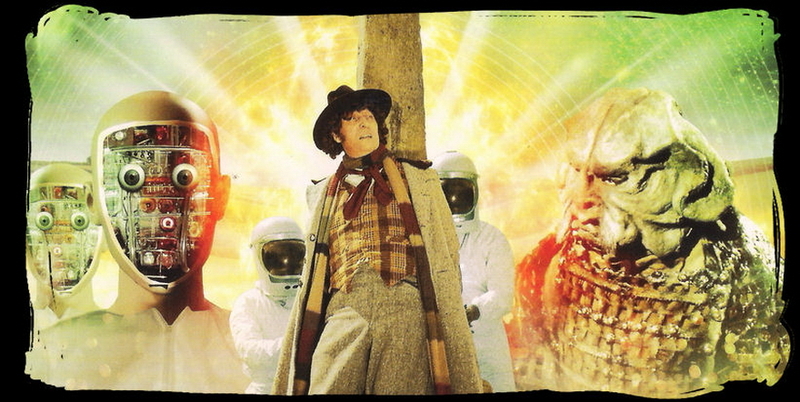 Fourth Doctor: Again, so many choices! But I’m going with The Face of Evil. Not only did it introduce Leela, but it also showed us just what happens if the Doctor has to go up against himself (or rather, the computerized version he left behind). It’s an irresistible plot, and one that would be mined again under the Eleventh Doctor (Nightmare in Silver). This is one from my childhood, too, so there’s some sentimentality there as well. Fifth Doctor: I’m tempted to say The Visitation just based on the awesome Richard Mace, but the rest of the story wasn’t that strong; and it cost us the sonic screwdriver. So, I’ll go with Kinda. There’s not much to hate about it; the Mara are a great and unique villain; Tegan is fantastic here; and it is dealt with chiefly due to the relationship between the Doctor and his companions, which is the essence of what the Fifth Doctor is about. I didn’t enjoy Snakedance quite as much, but it was also a great complement to this story. Sixth Doctor: No, I’m not going to say Trial of a Time Lord; that would be cheating. If it were going to be that season, I’d break it down into its parts. Actually, in general I do prefer that season over the preceding one; but for an individual story, I’m going with Revelation of the Daleks. 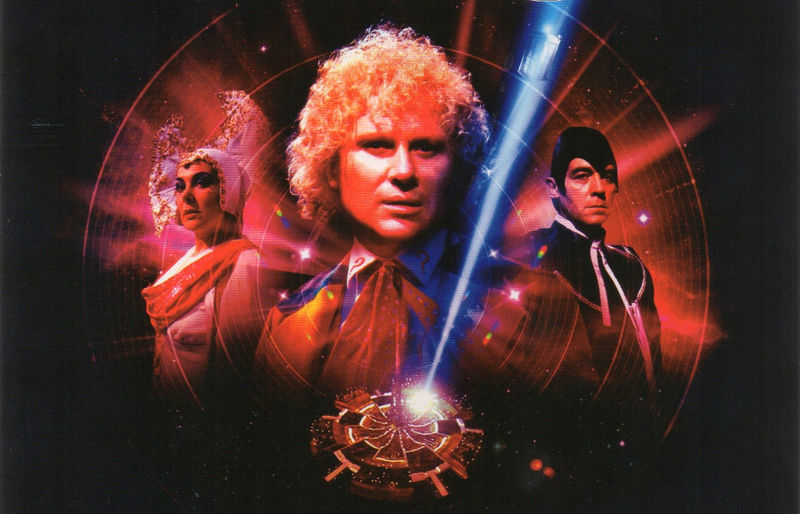 It’s the first place where the Sixth Doctor really started to come into his own, and Davros is one of my favorite villains. 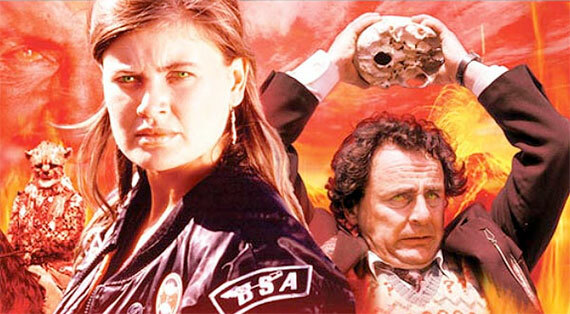 Seventh Doctor: Battlefield. No hard decision here. Yes, I know it was rated low, but this is my list, so there. It’s the seventh Doctor at the top of his game; UNIT and the Brigadier still at the top of theirs; an actual battle scene, which is something we rarely ever got in UNIT stories for some reason; a great take on the King Arthur legends; Ace being fantastic; and Bessie, who we all know is my one true love. Just kidding. Still cool to see the car again, though. So, there it is. 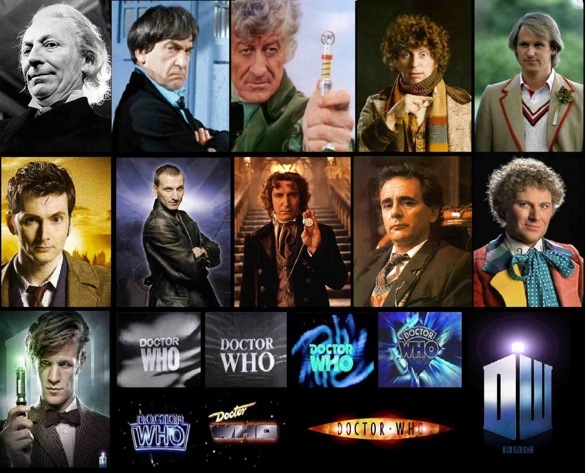 Twenty-six seasons, one movie, eight Doctors, thirty-two companions (classic series), one hundred sixty stories, and one blue box—classic Doctor Who in its entirety. There’s far more that could be said, and has been; after all these years, there’s no bottom to this well. Still, this rewatch has given my thoughts on these decades of stories; now, what are yours? This has always been about discussion, and I love seeing everyone’s thoughts and reactions. Feel free to comment! Some future plans: I’ve already begun an occasional series of reviews of the Big Finish Doctor Who audio dramas, and I intend to continue it. It won’t have anything near the regularity of this series; it will just be as I manage to listen to the audios. That series is open-ended; I don’t have a goal in mind, as Big Finish is constantly adding new material. 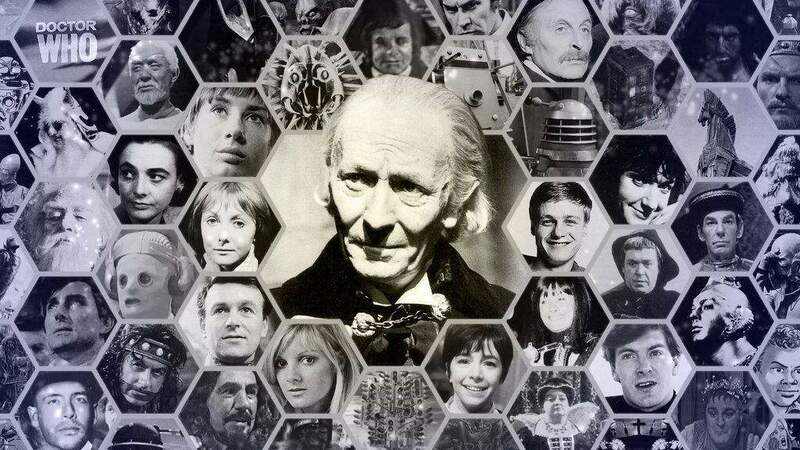 Nor will it be in any particular order; as they add materials for all Doctors, it’s not practical to take them in numeric order as I did with the television series. As I can get my hands on the novels, I may do the same with them; but that series is likely to be even more infrequent than the audios. I have given some thought to continuing with a rewatch of the revived series, and I may do that; but I don’t want to get it mixed up with /r/Gallifrey’s official rewatch series, so I may wait a bit and title it differently. If I do continue, I won’t do an entire season in a single post; there’s just too many stories per season for that. I’ll probably do about three episodes per post. Thanks for reading! I’m glad this series was well received, and I look forward to everyone’s comments. All seasons and episodes may be viewed on Dailymotion; links are below. Note that these links are not the individual serial links I have previously posted, but rather, links to the entire collected seasons, arranged by era. For convenience, I have included links to the revived series as well. Eighth In Line: Classic Doctor Who Rewatch, Movie Edition! Welcome back to our Classic Doctor Who rewatch! Although technically we’ve finished the classic series, we’re not quite out of the woods yet. This week, we look at the first major attempt to revive Doctor Who onscreen, the 1996 made-for-television movie. Intended as a pilot for an American revival of the series, it’s an interesting look at what Doctor Who might have become on this side of the ocean…and a case study in what doesn’t work, as the series wasn’t picked up. Let’s get started! We open with the Seventh Doctor, Sylvester McCoy, now at the end of his life cycle. He’s a changed man since his last appearance in Survival; he seems to have left his scheming days behind, as well as his companions (no Ace to be seen here). He’s quiet and calm, and clearly a bit weary; he’s also carrying a sonic screwdriver again (Lungbarrow states that it’s Romana’s, though it doesn’t look like hers). His TARDIS has changed too, in the most drastic redesign we’ve ever seen; it’s dark and comfortable in a very Victorian way, with its parlor and its wood-grain console and its vaulted ceilings and arches. (I’d describe it as “steampunk” if there was any evidence of steam-driven technology; there isn’t, but it certainly has that feeling). Ace’s final lines in Survival described the TARDIS as “home”, and this TARDIS is clearly the Doctor’s home; he’s at ease here as we’ve never seen. He’s on a mission; the Master, having at some point escaped the Cheetah world, has been captured, tried, and executed by the Daleks, and the Doctor—at the Master’s request—is bringing his remains home to Gallifrey. Goodbye, Master! …wait, that never works. “Snake” is not a good look for you, Master. As in any dealing with the Master, things aren’t that simple. A Time Lord’s remains carry his or her mind until it can be uploaded to the Matrix; and the Master is far from finished with this world. He causes a disturbance in the TARDIS, which disrupts its flight and allows his now-disembodied form to escape the urn; the TARDIS makes an emergency stop in San Francisco, Earth, New Year’s Eve, 1999 (or actually, judging from the time span we see, late night on Dec. 30th). Just in time for Y2K! But, no. At any rate, the Doctor steps out of the TARDIS…and into a gang battle. He’s immediately shot several times, and appears to be dying. Gang member Chang Lee gets him to the hospital…and the Master hitches along with the EMTs. 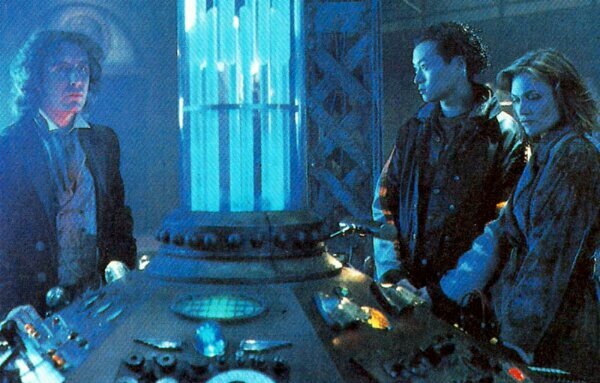 The Doctor, Chang Lee, and Grace Holloway in the TARDIS. At the hospital, cardiac surgeon Grace Holloway operates on the Doctor; but due to his alien circulatory system, she unintentionally kills him. 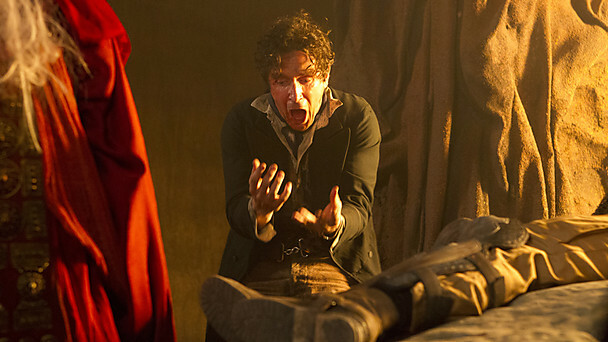 While she’s dealing with the fallout of his death, he’s in the morgue…and regenerating: Paul McGann takes the stage as the Eighth Doctor. He’s unusually strong—he batters the morgue door off its hinges—but his regenerative fog is worse than usual; the anesthesia has affected him, not only delaying his regeneration and making it more difficult, but giving him pretty severe amnesia as well. Pondering his identity, he steals some clothes from a locker (in the finest tradition, as established by the Third Doctor) and slips out of the hospital…only to run into Grace again. The Master gets a companion?! From this time on, it’s a battle to recover his memory, outwit the Master, and get his TARDIS flying again, all with Grace in tow. Meanwhile, the Master hasn’t been sitting still. He’s taken the body of Bruce, one of the EMTs (and killed Bruce’s wife, who really didn’t deserve this); and he’s returned to the TARDIS and coerced Chang Lee into helping him capture the Doctor. He’s a consummate liar, even in this form; he convinces Chang that the Doctor is the villain here, who has stolen HIS body and TARDIS. It comes out that what he really wants are the Doctor’s remaining lives. He uses Chang to open the TARDIS’s Eye of Harmony, which has the power to transfer his consciousness into the Doctor’s body; only a non-Gallifreyan can open the Eye. In the course of this he makes the shocking discovery that the Doctor is half-human; later the Doctor confirms this, and states that it’s on his mother’s side (though that detail may have been facetious). Finally, at the stroke of midnight, Grace restores power to the TARDIS and overcomes the Master, and frees the Doctor, who sees the Master pulled into the open Eye of Harmony…and the battle is over. There’s a lot on which to comment in this movie. Perhaps most notably, there’s the controversial idea that the Doctor is half human. Who knew that a few little lines would spark so much argument over the years? I’m unsure what the writers were thinking, but it WOULD go a long way toward explaining the Doctor’s love for Earth and humanity, so there’s that. Still, it runs counter to everything else we’ve ever seen about the Doctor (and if you’re a fan of the Cartmel plan and Lungbarrow, it’s an outright impossibility, as the Doctor would have been Loomed without parents instead of born). Later episodes in the revived series would play with this idea, especially in Series Nine with the idea of the Hybrid—a product of two warrior races, sometimes suspected to be humans and Time Lords. The Series Nine finale, Hell Bent, would even come right out and say that this is one of the suspected possibilities for the Hybrid; when Ashildr makes that allegation to the Doctor, he doesn’t deny it, but waves it away as irrelevant. Personally, I think that (as much as we can say that Doctor Who has a canon at all) the concept isn’t canon; like other hints of the Cartmel plan from the last few seasons, it’s a possible direction for the show that failed and was soft-retconned out. 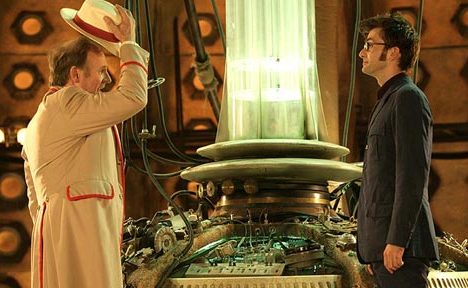 I do acknowledge that a regeneration doesn’t have to produce a Gallifreyan body, and also that the Time Lords can change the anatomy to match another species (as seen in Human Nature/The Family of Blood and Utopia/The Sound of Drums), therefore a single regeneration could make a Time Lord half human; but not by birth, and not “on his mother’s side” in this case. However, I choose to think of it like the Cartmel plan: While I’m happy with the direction things ultimately went, I like to think I would have been okay with this had it been made canon for the series. It’s not worth getting angry. The TARDIS is impressive. I like the new console room, and I feel like we would never have gotten all the wonderful “desktop themes” of the revived series without this one to inspire them. When sitting there, the Doctor is reading H.G. Wells’ The Time Machine; this is a throwback to several jokes in the classic series: The Master reads that very book in one of his earliest appearances; Wells appears in Timelash; and every book the Seventh Doctor reads onscreen has “time” in the title somewhere. The Eye of Harmony is, for the first time, seen to be aboard the TARDIS. I don’t know what the intention of the writers was—did they intend for this to be the actual Eye, as in, the black hole that constitutes the Eye? At any rate, they set a precedent of establishing that TARDISes contain a subset of the actual Eye (the “Prime Eye”, if you will) which links to the Prime Eye and draws out power from it. The loss of Gallifrey allegedly broke this connection, which is why the TARDIS in the revived series can run out of power and must be recharged at the Cardiff rift; it’s that subset of the Eye that must be recharged, and that we see in Journey to the Center of the TARDIS. The kiss that stunned a million fans. The Doctor himself has an unusual relationship with time here. He is able to see things from Grace’s past and future despite having never met her before. He’s a far cry from the Eighth Doctor we’ll see in the audios and in the mini-episode The Night of the Doctor, but we can probably attribute this to his recent regeneration. He’s flighty and excitable, where later he will be confident and strong. In addition to the controversy over the “half-human” statements, there’s controversy from another quarter: he has his first onscreen kiss, or kisses, to be precise, when he kisses Grace. It came as a disturbance to many fans who felt that the Doctor should be asexual and non-romantic, as he had always been portrayed; but as a result, we get his later romance with Rose Tyler. As well, we know he had a family in the past, so it’s more likely that he does have a romantic side, which he has just suppressed for the duration of the classic series. “Amazing Grace”, as her coworkers call her. No, really. Grace is usually considered a companion of the Doctor, although she doesn’t do much traveling in the TARDIS (just a day back in time, really). She chooses not to travel with him at the end, and of course he won’t stay with her. 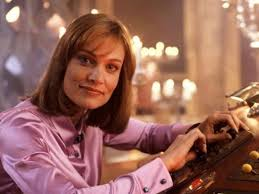 There have been conflicting statements that, had the series been picked up, Grace would or would not have returned as a regular companion; she does persist in some comic strip stories. Unfortunately, due to licensing complications, she is not available for use by Big Finish in their audio dramas; nor is Chang Lee, who is more of a companion to the Master than the Doctor. Chang is not a bad guy; he’s just misled by the Master. He too leaves at the end; the Doctor just casually hands him half a billion dollars in gold dust! And we wonder where the Doctor gets his money. For lack of another place to put it, I’ll say it here: Gallifrey is stated by the Doctor to be 250 million light years away from Earth. It’s the closest to an actual, real-world location we’ve ever had. Overall, I enjoyed the movie. (I admit that I don’t often find great fault with any episode, so take that as you like—it’s entertainment, and I enjoy it.) It’s certainly different from the series; it feels very Americanized, but I can’t easily define what that means in context. The filming techniques, the pacing, the dialogue—it’s all subtly different. Still, “different” doesn’t have to mean “bad”; and any differences in the behavior of the Doctor and the Master can be attributed to the extremity of their circumstances here. 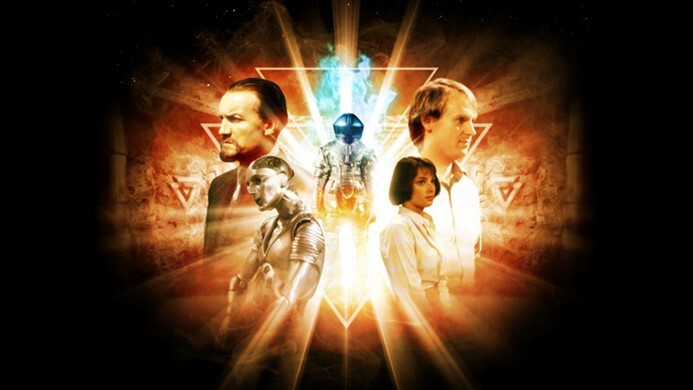 While it’s certainly not the most complex plot in Doctor Who history, it helps to remember that this was a pilot for a series; it’s meant to showcase the acting, the design, and the potential of the series, not necessarily the complexity of the plot. Had it persisted, it certainly would have deepened at some point. It’s interesting to think about what might have been, had the series continued in America; but I’m happy with the outcome we got. I can’t help feeling that it wouldn’t have persisted as long as NuWho has, or added so much to the lore of the show. 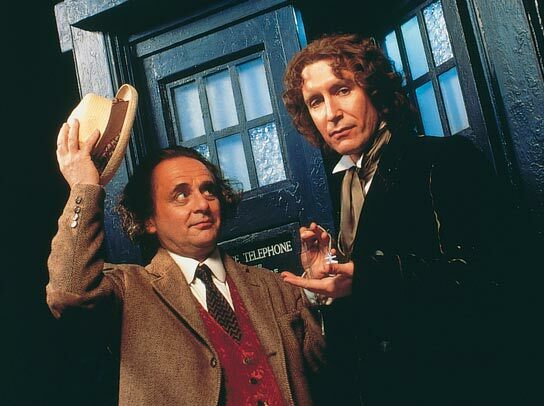 Still, it’s a great little story, and it gave us some valuable screen time for the truly excellent Paul McGann, which led to his long history in the audio dramas. For that, if nothing else, we owe the movie a debt of gratitude. 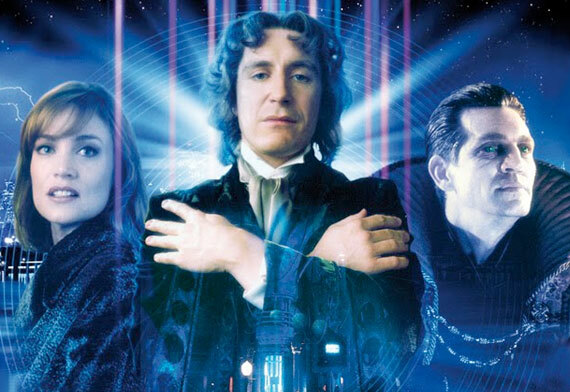 Bonus: I know it’s not part of the classic series, but I also wanted to include a brief review of The Night of the Doctor, McGann’s other onscreen appearance. 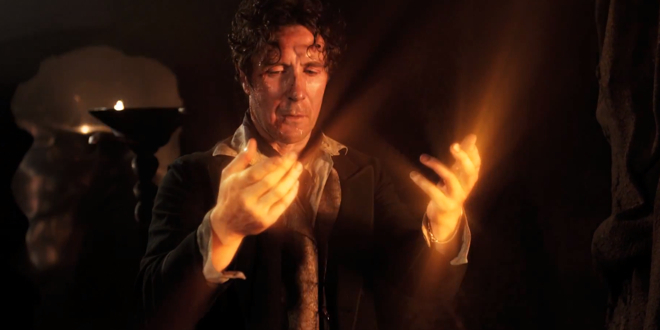 This mini-episode came as a very welcome surprise during the lead-up to the Fiftieth Anniversary Special in 2013, and gave us the other end of the Eighth Doctor’s life: His entry into the Last Great Time War, and his regeneration into the War Doctor. As this is the last bit of screen time the Doctor gets before the new series opens (at least, until the special came and showed us Gallifrey’s last moments), it’s worth a quick look. Not Karn!!! Anything but that!!! The Doctor has been avoiding the war, and helping out where he can, which is perfectly in keeping with his character. He tries to rescue a young woman named Cass from a crashing gunship; but when she discovers that he is a Time Lord, she refuses to deal with him, choosing to die instead. Die she does, as does the Doctor, when the ship crashes…on Karn. We haven’t seen this planet, or its Sisterhood, since The Brain of Morbius. Here the Sisterhood is less rigid in their rituals, but they take their purpose very seriously: they are the keepers of the Flame of Eternal Life, or as the Doctor puts it, “the Flame of Utter Boredom”. They revive him, but only briefly; they can save his life, but they won’t force it on him. We meet the high priestess Ohila (her name is a tribute to Ohica, the high priestess from Morbius); and watching her trade barbs with McGann is pure gold. 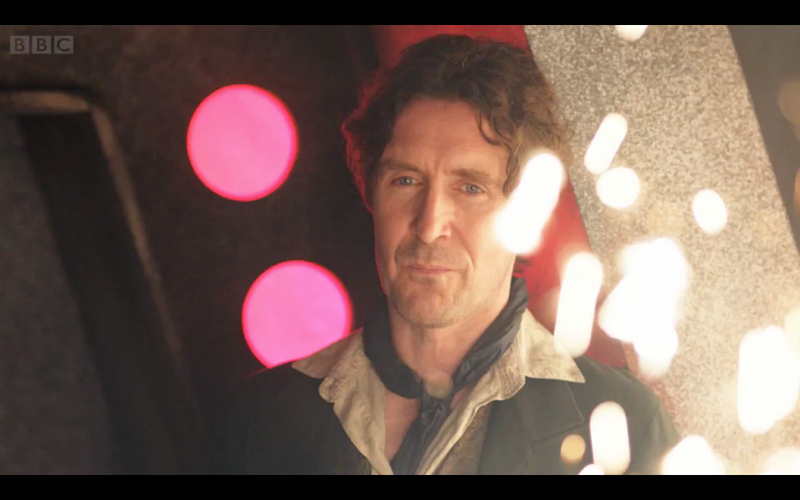 McGann is at the top of his game here; no more the flighty, chaotic Eighth Doctor of the movie, he’s now seasoned and in control of himself and his wit. My opinion is that this short, seven-minute episode has the highest concentration of great dialogue to be found anywhere in the series, both classic and new. 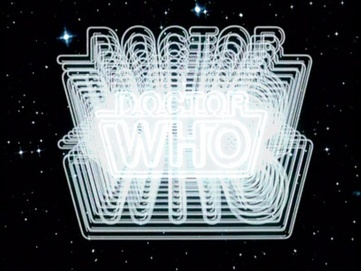 This episode does much to represent the utter terror of the war in just a few lines—“You haven’t finished yet, some of the universe is still standing.” “Who can tell the difference anymore?” “She didn’t miss much [of the universe]; it’s very nearly over.” Further, the war does something new: it gives the Doctor the only true death he’s ever experienced—the death of the man he chooses to be. Giving in to Ohila’s request—that he join the war, and end it—he takes the elixir, and regenerates; the Doctor dies, the Warrior is born. It’s his apology, not just to Cass, but to the universe, and to himself. Dying, he acknowledges his companions from the Big Finish audios (but oddly, not Grace Holloway), thus giving his adventures there an added degree of canonicity. At the end, he serves as body double for John Hurt’s War Doctor, with a manipulated bit of stock footage giving us the young War Doctor’s face; this makes him one of only two actors, with Sylvester McCoy, to play two different Doctors. In all, I find this episode to be a great and vital piece of Doctor Who history, and one of the best overall in terms of acting, dialogue, and emotion. It’s simply fantastic. Next time: Final thoughts, and future plans! See you there.